When you make your home at IMT Kingwood, you will live in one of the most enchanting neighborhoods in Greater Houston. Known locally as the “Livable Forest,” Kingwood is bisected by the Kingwood Greenbelt – 75 miles of wooded hiking and biking trails. When you aren’t out exploring the forest, take advantage of the short drives to top employers like Insperity, Kingwood Medical Center, and Lone Star College in Kingwood. When you want to go out for a celebratory meal, treat yourself to the fresh sashimi and hand rolls at Yama S Fusion Sushi. If you want to try something new, hop on I-69 for an easy commute to downtown Houston. Shop the latest trends at Kingwood Commons and Deerbrook Mall. Catch a movie at ShowBiz Cinemas. Pass an afternoon exploring the Mercer Botanic Gardens. However you want to spend your day, Kingwood can make it happen.  Explore the neighborhood at IMT Kingwood. Give us a call today to schedule your tour of our Kingwood, TX, apartments for rent.